TWO/THREE BEDROOM, DETACHED HOUSE with GARDEN, LAND, GARAGE and VIEWS. It is just MINUTES from the RESORTS and BEACHES of the ADRIATIC COAST. PLOT of LAND which measures 11,000 SQM. It is DIVIDED into LOTS, of which, 9,200 SQM can be BUILT UPON. The LAND has 300 OLIVE TREES and a MARVELLOUS OUTLOOK over the LAKE and MOUNTAINS. UTILITIES are ON SITE. 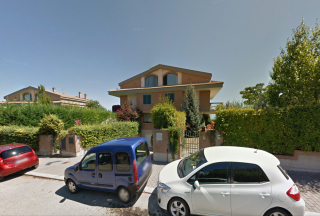 FOUR BEDROOM, SEMI-DETACHED HOUSE in the much SOUGHT AFTER TOWN of VASTO. The property is CLOSE to both AMENITIES and the BEACH. It has a GARAGE, GARDEN and SEA VIEWS. The house is SOLD with SOME of the FURNITURE. 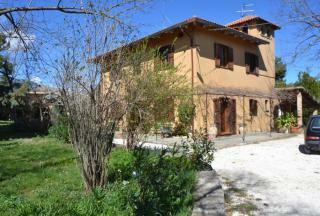 ATTRACTIVE, STONE HOUSE which is located in the COUNTRYSIDE near the FRIENDLY TOWN of BUSSO. The property has been SYMPATHETICALLY RESTORED to HIGHLIGHT TRADITIONAL FEATURES. It has TWO BEDROOMS and BENEFITS from a GARAGE, JACUZZI, COVERED TERRACE, GARDEN, LAND and BREATHTAKING VIEWS. RECOMMENDED. 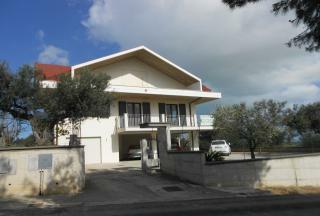 LARGE, FOUR BEDROOM, DETACHED VILLA with GARAGE, GARDEN and TERRACE. 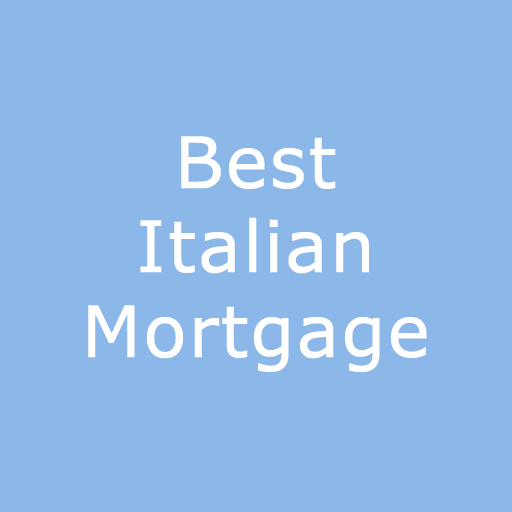 It is in an EXCELLENT POSITION being EQUIDISTANT from ABRUZZO AIRPORT, the fabulous BEACHES of the ADRIATIC and the winter SKI RESORT of PASSO LANCIANO. It would BENEFIT from a little WORK but is ideal as a FAMILY HOME or B&B. 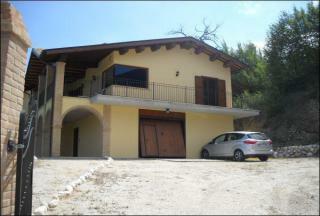 ATTRACTIVE, THREE BEDROOM VILLA located near the TOWN of MOSCUFO and EQUIDISTANT to the COAST, AIRPORT and SKI RESORTS. The PROPERTY has a LARGE GARDEN, GARAGE, PHOTOVOLTAIC SYSTEM and TERRACES. The LAND has a PRIVATE DRIVEWAY and is planted with OLIVE TREES. FURNITURE is INCLUDED. 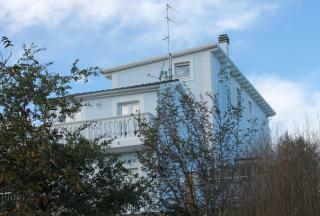 DETACHED, THREE BEDROOM, VILLA with a ONE BEDROOM, INDEPENDENT APARTMENT. It is LOCATED in a TRANQUIL AREA, just 3 KMS from the HISTORIC , HILLTOP, TOWN of PENNE, with RESTAURANTS and SHOPS. This lovely villa benefits from BALCONIES, VIEWS, LAND and GARDEN. HIGHLY RECOMMENDED. A charming, COUNTRY HOUSE nestled in a PEACEFUL LOCATION. It has FOUR BEDROOMS and is IMMEDIATELY HABITABLE. It comes with FENCED LAND, including a small VINEYARD. 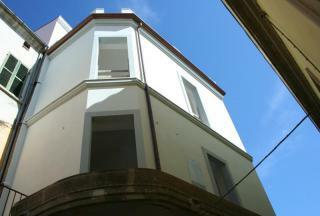 TWO BEDROOM, MODERN, APARTMENT SITUATED in the CENTRE of VASTO, very CLOSE to all AMENITIES. The property has a BALCONY, with CITY VIEWS, GARAGE and PRIVATE PARKING. The FURNITURE is INCLUDED. LARGE FARMHOUSE of about 500 SQ. METRES which is currently DIVIDED into TWO APARTMENTS. The SECOND FLOOR still needs to be COMPLETED. The property comes with 53 HECTARES of AGRICULTURAL LAND together with various OUTBUILDINGS. It is HABITABLE and is ideally suited for an AGRICULTURAL BUSINESS. 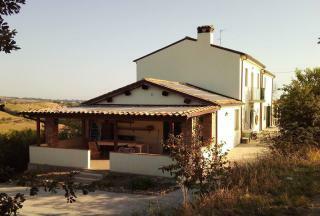 An attractive, THREE BEDROOM VILLA which is located in the COUNTRYSIDE, CLOSE to the HISTORICAL TOWN of LORETO APRUTINO with all AMENITIES. The property comes with a totally FENCED GARDEN for AL FRESCO living. ANCIENT PALACE in the HEART of the VILLAGE. It currently has FOUR BEDROOMS, BALCONIES and PRIVATE GARDEN. The property is STRUCTURALLY SOUND but NEEDS INTERNAL RESTORATION. It has LOTS of SPACE, POTENTIAL and BREATHTAKING VIEWS. 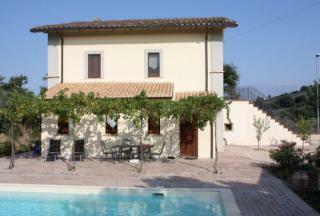 FOUR BEDROOM VILLA located in a TRANQUIL POSITION, close to the HISTORIC TOWN of PENNE. The NEW BUILD property benefits from TWO TERRACES with PANORAMIC VIEWS, GARAGE and GARDEN. There is ENOUGH SPACE to install a SWIMMING POOL. The villa has been FINISHED to a VERY HIGH STANDARD. LARGE, FIVE BEDROOM, VILLA built to a HIGH STANDARD. LOCATED on the BORDER of MARCHE/ABRUZZO and on the EDGE of the NATIONAL PARK, the VILLA COMES with GARAGES, GARDEN, BALCONIES, and SUPERB VIEWS. A VISIT is RECOMMENDED to APPRECIATE the FULL EXTENT of its BEAUTIFUL POSITION and QUALITY of BUILD. 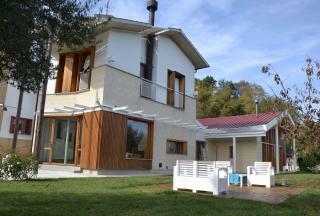 THREE BEDROOM, WOODEN VILLA which is located in a PANORAMIC POSITION. It is EASILY ACCESSIBLE, has LARGE BALCONIES, and comes with FENCED LAND. A totally REMODELLED FARMHOUSE which includes FOUR BEDROOMS, FOUR BATHROOMS, GARDEN, LAND and SWIMMING POOL. The property also comes with an ADDITIONAL BUILDING with PLANNING APPROVAL for a TWO BEDROOM GUEST ANNEX. BEAUTIFUL, CHARACTERISTIC, FARMHOUSE which has been FULLY RESTORED. 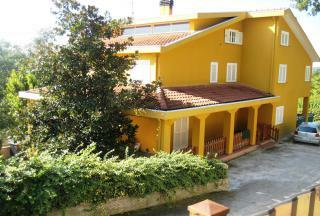 It has THREE BEDROOMS, GARDEN with OLIVE TREES and SWIMMING POOL. It is VERY CLOSE to the 'TRABOCCHI' COAST and SAN VITO, which BOASTS many EXCELLENT RESTAURANTS. The sale INCLUDES all INDOOR/OUTDOOR FURNITURE. HIGHLY RECOMMENDED. 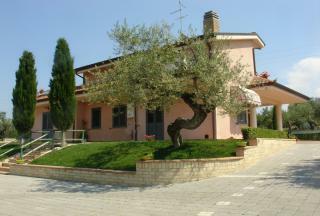 PRETTY, FOUR BEDROOM, VILLA within WALKING DISTANCE of CUGNOLI VILLAGE and its WIDE SELECTION of AMENITIES. The property has AMPLE SPACE with RESTORED, TRADITIONAL FEATURES and a modern KITCHEN. The villa BENEFITS from a COURTYARD, GARDEN and SWIMMING POOL, perfect for RELAXATION and OUTDOOR LIVING. 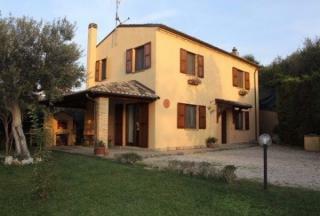 RESTORED, FOUR BEDROOM, COUNTRY VILLA with LAND in CASALBORDINO and close to the ADRIATIC. It also has TWO MINI-APARTMENTS, ideal for RENTAL. The property has TRADITIONAL FEATURES, a PHOTOVOLTAIC SYSTEM, FENCED GARDEN and BEAUTIFUL VIEWS. BEAUTIFUL VILLA which is divided into TWO APARTMENTS with a TOTAL of FOUR BEDROOMS (two in each apartment). The property BENEFITS from plenty of OUTSIDE SPACE comprising TERRACES, GARDEN and plot of AGRICULTURAL LAND. A perfect RENTAL or BED & BREAKFAST BUSINESS. Lovely VIEWS! A large HISTORICAL PROPERTY which can be adapted for many uses including holiday RENTAL ACCOMMODATION, B & B or a RETREAT. It needs RENOVATION and has many ORIGINAL FEATURES to incorporate in the design. Great POTENTIAL for those seeking a business. 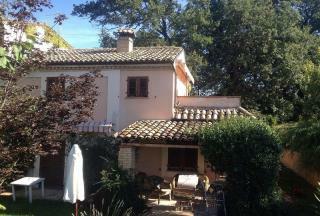 LARGE HOUSE, with SIX BEDROOMS and LAND, located in VILLA BOZA, MONTEFINO. The property has TRADITIONAL FEATURES including BEAUTIFUL EXPOSED BRICK CEILINGS and ORNATE BALCONIES. Plenty of POSSIBILITIES for a SUBSTANTIAL HOME, or, maybe a BED & BREAKFAST. The house has been PARTIALLY RESTORED. 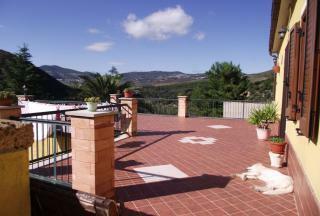 CONTEMPORARY, FOUR BEDROOM, VILLA in the HILLS of BELLANTE. It has SPECTACULAR VIEWS of the SEA and HILLS. The property BENEFITS from a GARDEN, LAND, TERRACE and PANORAMIC WINDOWS. There is a LARGE ATTACHED STUDIO which would easily CONVERT into EXTRA LIVING SPACE. MUST BE VIEWED! DELIGHTFUL VILLA which has THREE STOREYS and 250 SQ. METRES of SPACE. The TOP FLOOR needs COMPLETION but its INDEPENDENT ACCESS lends the villa to a RENTAL or BED & BREAKFAST business. It comes with a TERRACE, GARDEN and SEA VIEWS. The PRICE is NEGOTIABLE. PLOT of LAND, part of which is available for BUILDING. 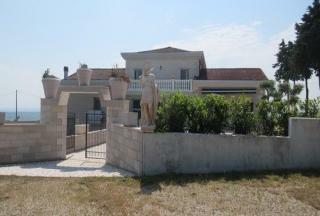 It is in a BEAUTIFUL POSITION, just 6 kms from the COASTAL RESORTS and BEACHES of the ADRIATIC. This plot provides a wonderful OPPORTUNITY to construct a NEW VILLA TAILORED to the buyer's OWN STYLE and REQUIREMENTS. 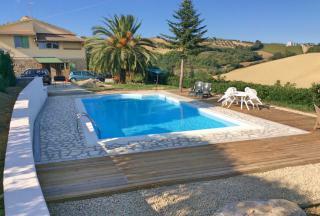 SPACIOUS VILLA in the heart of the Abruzzo COUNTRYSIDE. It has FOUR BEDROOMS, TERRACE and GARDEN. There is also an above ground SWIMMING POOL with a WOODEN DECKING SURROUND, the perfect spot for relaxing with an APERITIVO whilst enjoying the VIEWS and SUNSET. 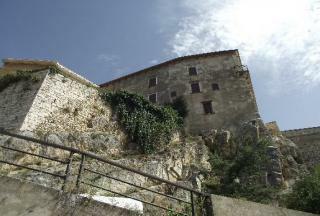 CHARMING, TOWNHOUSE in the HISTORIC TOWN of PENNE. It has THREE BEDROOMS, BALCONY and TRADITIONAL FEATURES. Of particular interest are the MAGNIFICENT BRICK VAULTED CEILINGS. VILLA with DETACHED ANNEX, located in an IDEAL POSITION, just MINUTES from SKIING, COAST and AIRPORT. With FIVE BEDROOMS, it is a perfect FAMILY HOME, or, possible RENTAL BUSINESS. It benefits from MOUNTAIN VIEWS and LAND, cultivated with VINES, OLIVE and FRUIT TREES. 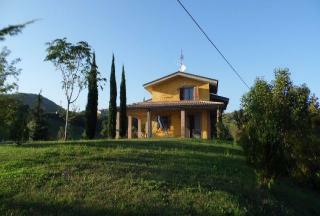 TRADITIONAL, COUNTRY VILLA with OUTBUILDINGS and LAND near CATIGNANO. It has THREE BEDROOMS and is IMMEDIATELY HABITABLE. 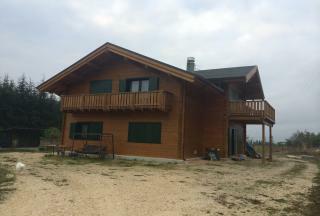 The property is LOCATED in a TRANQUIL POSITION, HALF WAY between BEACHES and SKIING. NEWLY BUILT VILLA with AMAZING VIEWS. It is in DIVIDED into THREE APARTMENTS with THIRTEEN BEDROOMS and SEVEN BATHROOMS. 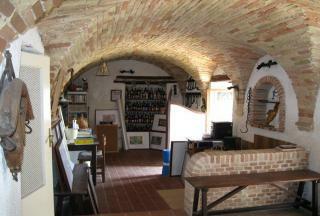 It is in need of some AESTHETIC WORKS to COMPLETE but would make a fabulous RENTAL, B&B or AGRITURISMO BUSINESS. It comes with 12,000 sqm of TERRACED GARDENS, ideal for a POOL. 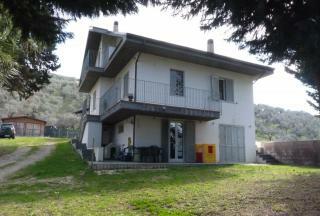 THREE BEDROOM, DETACHED HOUSE in the beautiful area of LORETO APRUTINO. It was recently RENOVATED and comes with a TERRACE and GARDEN. PANORAMIC POSITION. 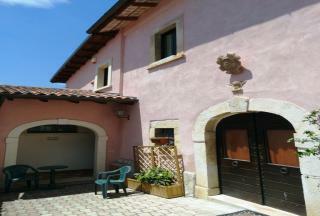 PRESTIGIOUS HOUSE in the PICTURESQUE VILLAGE of SCOPPITO, just 13 KM from the MEDIEVAL CITY of L'AQUILA. It has plenty of accommodation with FOUR BEDROOMS, THREE BATHROOMS, TWO RECEPTION ROOMS and OUTSIDE SPACE. The LARGE GARDEN has BREATHTAKING, MOUNTAIN VIEWS and is perfect for AL FRESCO DINING. LARGE, SIX BEDROOM VILLA currently DIVIDED into TWO APARTMENTS. 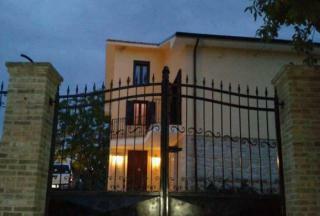 It is LOCATED NEAR the much SOUGHT after TOWN of PENNE with a CHOICE of SHOPS, BARS and RESTAURANTS. The property comes with a GARDEN and TWO GARAGES. GOOD POTENTIAL for a RENTAL BUSINESS. Large FOUR BEDROOM VILLA, close to the VILLAGE of GUGLIONESI and the ADRIATIC COAST The property has a GARAGE, TERRACE, LAND with OLIVE GROVE and VIEWS. Ideal for a PERMANENT RESIDENCE or BUSINESS ACTIVITY. 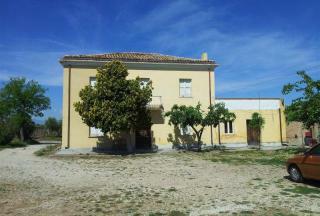 FULLY RESTORED, FOUR BEDROOM, COUNTRY HOUSE with LAND and OLIVE TREES. It is CLOSE to the MEDIEVAL TOWN of MANOPPELLO. The property has TWO TERRACES, the POSSIBILITY to INSTALL a SWIMMING POOL and COUNTRYSIDE VIEWS. It could be OPERATED as a B&B. The house is equidistant from SKI, SEA and AIRPORT. ELEGANT, TWO BEDROOM, APARTMENT which FACES the BEACH and SEA in the LIVELY RESORT of TORTORETO LIDO. The property has GARAGE, BALCONIES and TERRACE. It is sold FURNISHED. 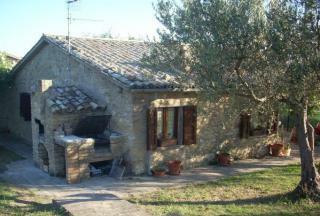 A fantastic, TWO BEDROOM, rustic COTTAGE which is nestled in the COUNTRYSIDE of CASALBORDINO. The house is only 6 kilometres from the ADRIATIC SEA and comes with 2,000 square metres of arable LAND. THREE BEDROOM, COUNTRY HOUSE which nestles in the TRANQUILITY of the COUNTRYSIDE. It is just 5 KM from the CENTRE of PIANELLA, with plenty of SHOPS, BARS and RESTAURANTS. 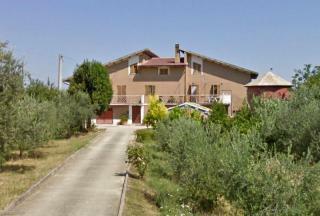 The property has THREE BEDROOMS, an OUTBUILDING and LAND, cultivated with OLIVE and FRUIT TREES. 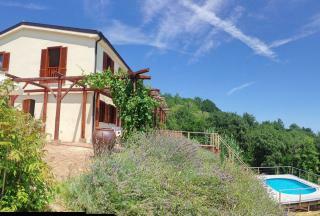 THREE, BEDROOM VILLA with FANTASTIC VIEWS of the GRAN SASSO MOUNTAINS. It is in a TRANQUIL POSITION and BENEFITS from a GARAGE, PORCH, BALCONY and 5,000 SQ. METRES of LAND. 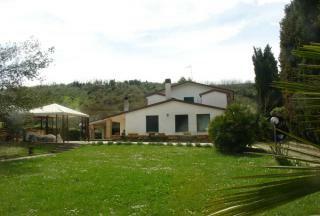 FOUR BEDROOM, VILLA which is within WALKING DISTANCE to the HISTORIC CENTRE of TORTORETO ALTO. The property comes with BALCONIES, GARAGE, GARDEN and VIEWS. It is IMMEDIATTELY HABITABLE although would BENEFIT from some MODERNISATION. The PRICE REFLECTS the WORKS to be CARRIED OUT. 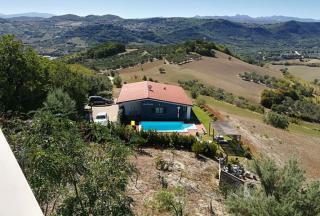 WONDERFUL, SINGLE STOREY VILLA with the most AMAZING VIEWS, some of the BEST in ABRUZZO! The property has THREE BEDROOMS, TWO BATHROOMS and benefits from a GARDEN, ORCHARD and SWIMMING POOL. The villa has been FINISHED to the HIGHEST STANDARD and INCORPORATES EVERY COMFORT. HIGHLY RECOMMENDED. 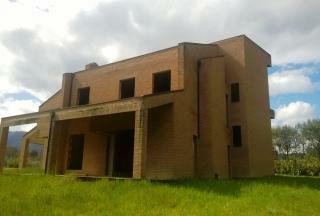 VERY LARGE VILLA which needs iINTERNAL COMPLETION. It is surrounded by a GARDEN with OLIVE TREES and has VIEWS towards the MOUNTAINS. The NEW OWNER has the OPPORTUNITY to personally CHOOSE MATERIALS to their OWN STYLE. 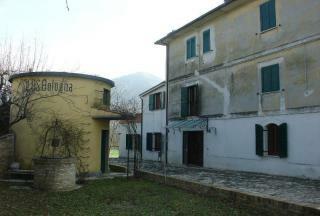 Beautiful TWO/THREE BEDROOM FARMHOUSE with stunning VIEWS towards the GRAN SASSO MOUNTAINS. It has been RESTORED and comes with 2 hectares of LAND. VIEWING RECOMMENDED. 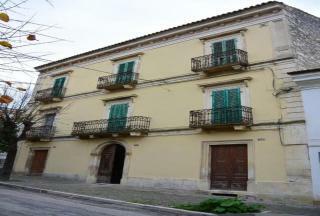 SEMI-DETACHED HOUSE in a TRADITIONAL BUILDING, close to the charming city of CHIETI. It has FOUR BEDROOMS, STUDIO, COURTYARD, TERRACE, GARDEN and TENNIS COURT. 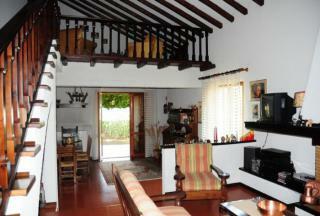 The FURNITURE is also included and the property has VIEWS to the MAIELLA MOUNTAIN. DETACHED COUNTRY HOUSE, in a PERFECT POSITION for GOLF LOVERS as the COURSE is only FIVE MINUTES away. The property has THREE BEDROOMS, GARDEN and MOUNTAIN VIEWS. It is within EASY ACCESS of the AIRPORT and COAST. 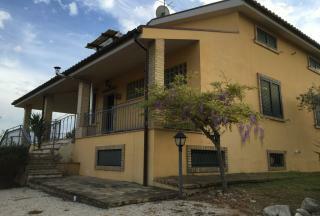 THREE BEDROOM, VILLA with BEAUTIFUL VIEWS of the LAKE and the ROLLING HILLS of GUARDIALFIERA. It COMES with a FABULOUS TERRACE, COURTYARD, BALCONY and LAND which is CULTIVATED with OLIVE TREES and a VINEYARD. RECOMMENDED! 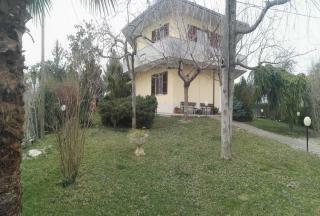 ELEGANT, DOUBLE RESIDENCE in the TOWN of TOLLO. Both houses have INDEPENDENT ACCESS and VIEWS of the SEA and MOUNTAINS. The property is SURROUNDED by 3,100 SQ. METRES of LAND and was BUILT TWO YEARS AGO at a COST of €430K. It is now REDUCED to €259K, representing FANTASTIC VALUE. VIEWING ESSENTIAL. BEAUTIFULLY, RESTORED, TOWNHOUSE in CONTEMPORARY STYLE. 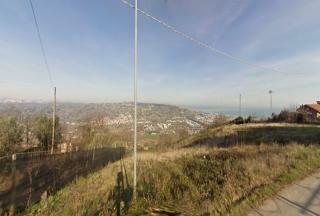 It is LOCATED in the delightful HILLTOP TOWN of SAN VITO CHIETINO near SHOPS and RESTAURANTS. The HOUSE has THREE BEDROOMS, TERRACE, BALCONY and the LATEST in TECHNOLOGICAL and ENVIRONMENTAL FEATURES. It OVERLOOKS the 'TRABOCCHI' COASTLINE.